You are here: Home / blog / where’s your wall street? At first it was just a whisper that spoke more to what wasn’t happening than to what was: mainstream media was shutting out coverage of the thousand or so people that had begun to gather starting September 17th at the unfortunately named Zuccoti park. Even when 2,000 mostly black folks ended their march at the reclaimed and renamed Liberty Plaza to protest the great state of Georgia’s sanctioned execution of Troy Davis, the media eye remained mostly blind. But the whispers turned to grumbles and those closed same eyes were pried open when police arrested eighty people and maced a woman. From there, Facebook posts and Twitter tweets multiplied and #OccupyWallStreet staked its flag firmly in the public sand. I’m no reporter so it’s fortunate that in an era when hashtags (#) are the in-fashion symbol and symbolism, you can Google an education and Wiki the timeline. What you most need to know though, in case you didn’t, is that no matter where you are, #OccupyWallStreet is the movement made for you. With decisions made by the General Assembly, “a horizontal, autonomous, leaderless, modified-consensus-based system with roots in anarchist thought,” OWS seeks to stand for “the other 99 percent” of Americans that are on the stinky end of the economic shitstick that’s been beating the crap out of us all, while the 1% at the top of the food chain get fat eating off the plates we made for minimum wage. No matter that it once looked like mostly disgruntled and disheveled white kids camping out because they could. Forget the fact that the initial call for this possible American Spring came out of Canada. Ignore the pundits that dis it for not having demands. By defying definition, flattening leadership and both utilizing and transcending organization as we’ve known it, shifting from spider to starfish, OWS creates within it’s morphing boundaries the one thing so many of our uber-defined efforts at movement-building have inadvertently managed to quash: opportunity. You only need to bring your voice, show up and choose to be who you are. By doing so, you cause this emerging movement to be yours. That choice, my friend, is freedom. Liberty Plaza, indeed. Not enough women, you say? Call CodePink and now there are more. Want gays and blacks? Elders and immigrants? Grab your AfroCuban-born lesbian granny and go. Where are the gender queers? If you show up, they are there. Having grown up in downtown Manhattan, I’m no stranger to the bizarre Wall Street world of high stakes gambling where the losers don’t even get to play the game. 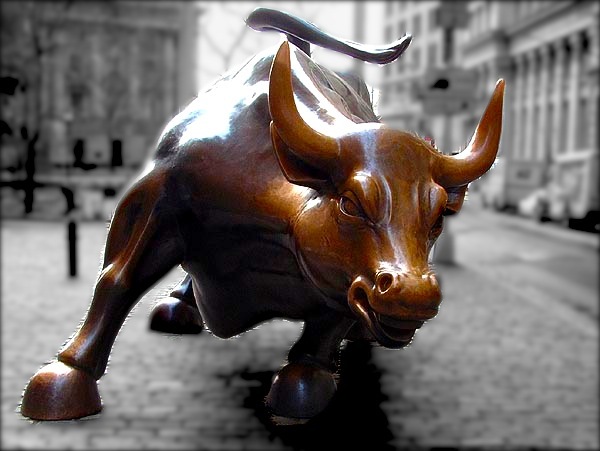 I’ve even ridden the back of the 7100 pound raging bronze bull that has come to epitomize the same financial aggression that has driven the economy into the ground. With each passing day, I am more certain that when I get back to my hometown next week, the protesters will still be there for me to join them. If it gets exceptionally cold or exceptionally rough, I’ll have the luxury of walking just a few blocks to return home. someone whose grandparents or parents helped build this country but their family fears being torn apart and kicked out. someone whose people picked cotton, built railroads or had their lands taken away, yet to this day have insufficient clothes, transportation or security of their own. and all the while, politicians play footsies with all our futures. Whatever you used to believe, what’s coming into plain sight—if you’re not the 1%, that is—is that this system has failed us all. And we each deserve to Thrive. On October 6th, DC’s K street gets occupied and a feverishly-growing number of inspired cities are determined to Occupy Together. So wherever you are, there’s a Wall Street near you and there’s never been a better moment to take it over and make this a movement for you. Who knows? Perhaps one day, we will look back on September 17th as the beginning of the New American Revolution in which we finally captured not just votes but the imagination of the entire “US” as a People. But for now, it’s sufficient to seize the opportunity of this moment, by finding the raging bull of determination and riding it out to #OccupyYOURWallStreet today. dedicated to the 99%. —aKw. 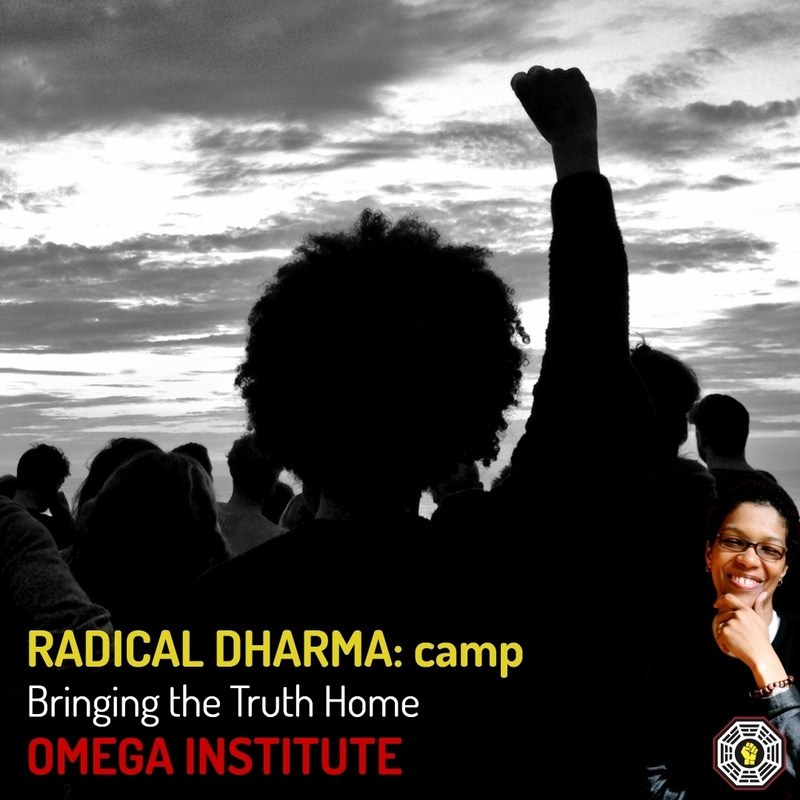 angel Kyodo williams is a maverick teacher, author, social visionary and founder of Center for Transformative Change. she posts, tweets & blogs on all things change. permission granted to retweet, repost, repaste & repeat with copyright and contact information intact.